Web Alfred Blasi Acceso a mi pagina web personal. Our disease – Fibromyalgia – is very complex and it has many symptoms. Although there is no doubt that the symptoms we suffer are caused by a physical imbalance, there are factors that aggravate and worsen the perception of those symptoms. 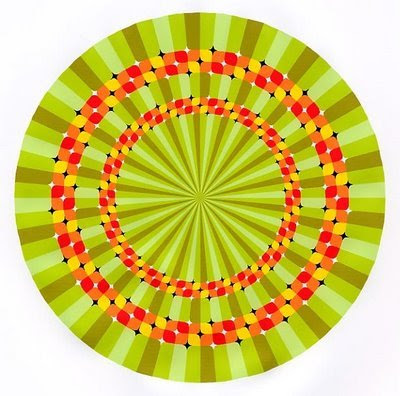 As well as being pessimistic makes things go more poorly than expected (or possible), creating “circles” around also makes our symptoms get worse. The concept of “circle”, or I should say “spiral”, is quite simple. From time to time, and due to how bad we feel, we suffer palpitations. We note that our heart beats much stronger than normal and almost unpleasantly (sometimes without “almost”). At that time, we become anxious because we think that this is not normal as we have no logical explanation (especially the first times when we feel it). The doctors have ruled out having any heart condition being diagnosed with fibromyalgia. However, this anguish is transformed into anxiety and, therefore, nervousness. We despair because the symptom is increasing while we are trying to relax. At that time, we grieve and this depression (caused by our condition of being sick) makes us project images of everything negative that might happen to us and of everything we misunderstood about how we feel, because, rather than explain to someone what we experience, we believe that nobody is going to understand us. Sadness makes us feel powerless over the situation and that makes us more nervous and more anxious. At this time, we are in the circle or spiral that leads to magnify what initially was tolerable.The degree of personal suffering caused by this condition grows and, within minutes, we feel exhausted. Physically exhausted, mentally exhausted… we don’t feel able to “fight” and – as a result – face the same symptom. Obviously, all the other symptoms join the party and we sink into a well which is hard to leave. – When I feel tachycardia. I know that it is not a heart probem. I know that a heart attack does not start like this. I know it’s a normal symptom of my illness. I know what will happen to me in this circle. If I have assimilated this, I have to learn that this symptom of fibromyalgia is easy to stop. It is funny to see that in a few minutes tachycardia has gone and the only thing left is mild chest pain (due to coughing so hard). Of course, controllable. What have we done with this simple example? First. We have normalized a symptom having learnt about it. We have assimilated it. Second. We have fought against it in an easy and simple way. Fourth. Having finished the symptom with which we began the circle, we feel strong and proud of what we are able to do. Can we locate and identify our “circles”? Can we learn about them and treat them as individual enemies without making a “package” of all of them? Perhaps, we can share the ways in which we break every one of our “circles” to help other people? I hope for comments and, if you like, I hope you will share this information with your friends on Facebook and Twitter. Perhaps, someone needs to know such things.